Well, I've done my part. Now I'm off to play some Neverwinter Nights 2. The first picture was funny! But the second one, impossible to say how authentic it is. Yeah. But the colors are interesting. One dawg thought it was water, but on that thread on ATS, I think they figured out it was...hmmm....I think it was sulphur or copper, if my memory serves me right. So there's no water on that picture, in any case. But these humanoid shadows, if nothing else, are interesting, at the very least. Just thought I'd drop this one off as well into the debate. Found it after a quick visit to ATS' Alien forum. 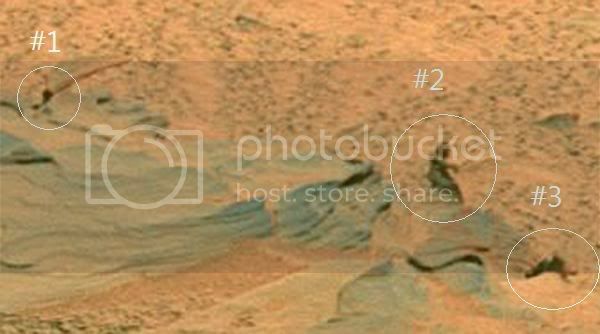 It's a shadow that looks like a doorway, on one of NASA's satellite photos, it seems. 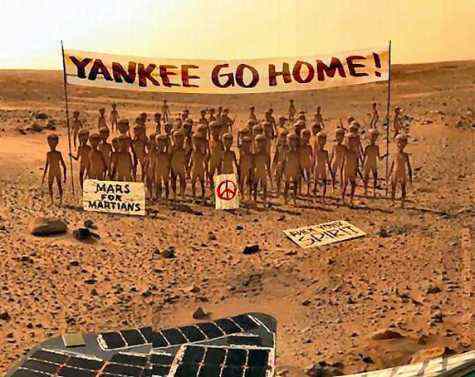 As alwas when it comes to Mars, one cannot be sure until we visit the planet ourselves. That's a cool photo, Loxley! Wonder if it's real. Well, I suppose that is a step up from the old standard line of it being a weather balloon...sigh. Subject: Re: Life on Mars!